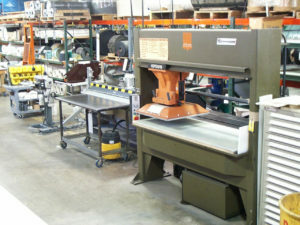 At SEMCOR, our goal is to make the difficult challenge of finding the right industrial products so much easier. We carry an extensive inventory of light weight conveyor belts that can meet the various material handling requirements of companies throughout the Midwest. We back all of our products with the in-house expertise, comprehensive service and advanced fabrication capabilities that combine to make us one of the leading material handling product suppliers in the industry. Light weight belting is used in numerous industries for a wide range of applications. For example, the excellent gripping characteristics and low-temperature flexibility make lightweight rubber belts an excellent choice for food processing and unit package handling applications. The absence of any reinforcing plastic in solid extruded plastic belts makes this type of light weight belting the most favorable option for applications where hygiene is important, such as meat and poultry handling. 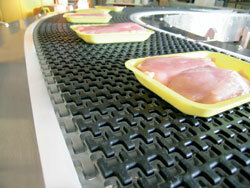 SEMCOR offers only top-quality light weight conveyor belts from reputable manufactures. We have been a proud Habasit belting distributor for many years, and we also offer products from Chemprene, Eagle, Flexco, Thermoid and Audubon. 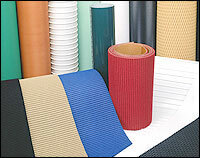 We provide complete technical support for every light weight belting product we sell. We can custom-fabricate any of our belts to your specifications. Our long list of fabrication capabilities includes vulcanizing, hole punching, v-guides, bucket installation, slitting and much more. Take a closer look at our in-depth inventory of durable, high-performing light weight conveyor belts, and be sure to let us know if you need additional product information. We will also be happy to discuss your custom fabrication requirements.